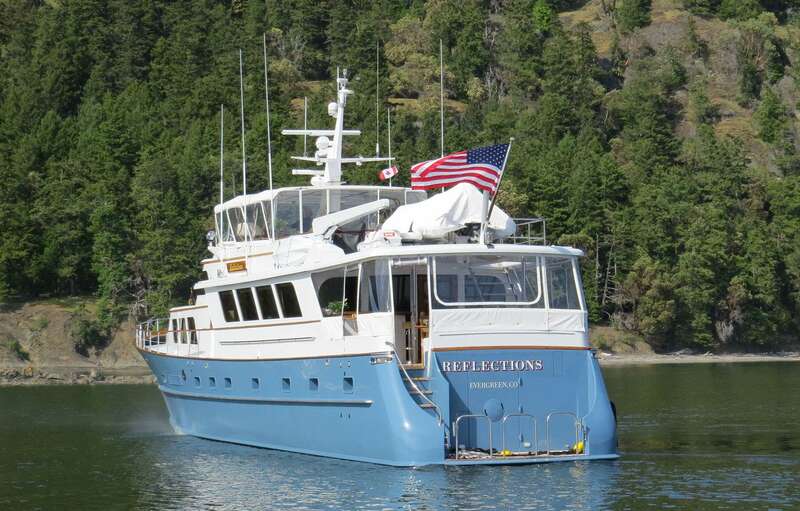 Luxury charter yacht REFLECTIONS (EX MIDSUMMER DREAM, REFLECTIONS) was built by Broward Marine in 1982, she has been meticulously refitted to a high standard by Delta Marine of Seattle in 2012, with further refit in 2018. 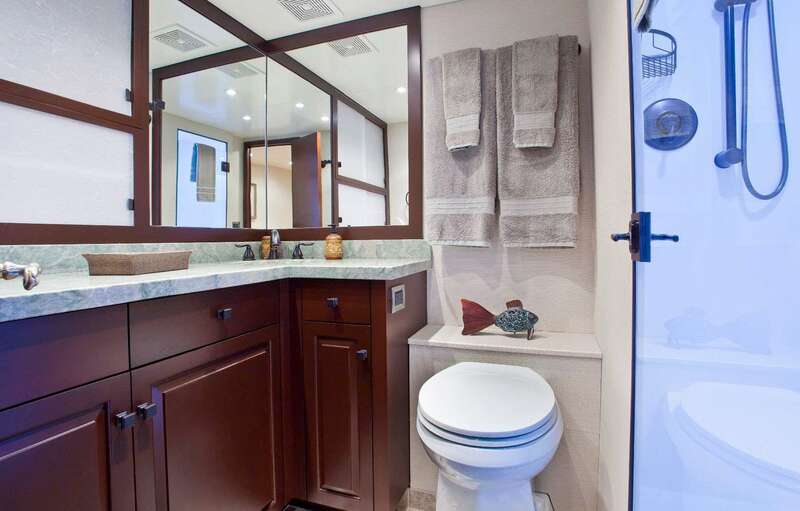 She boasts a tasteful and contemporary décor. 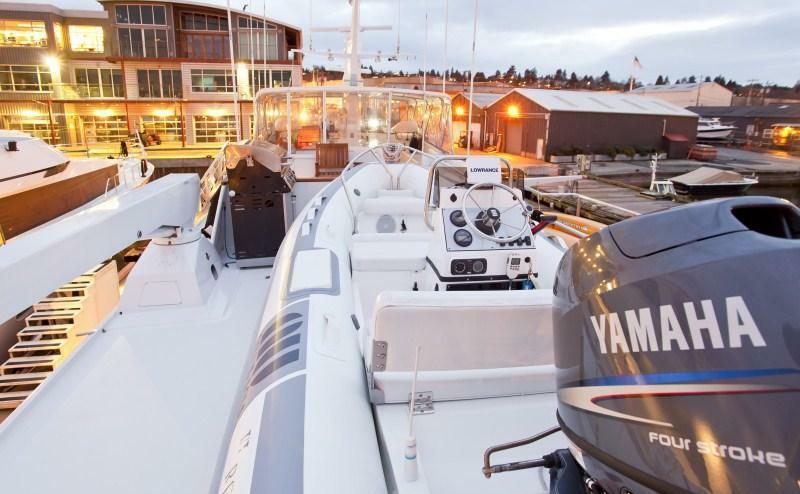 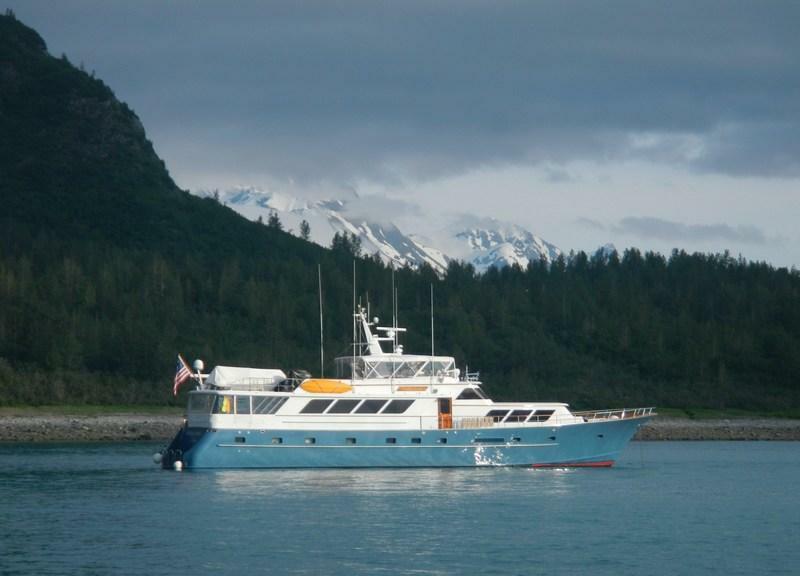 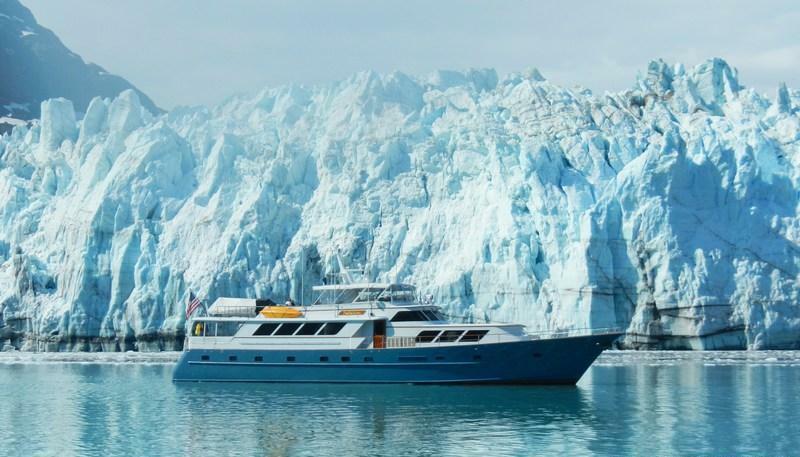 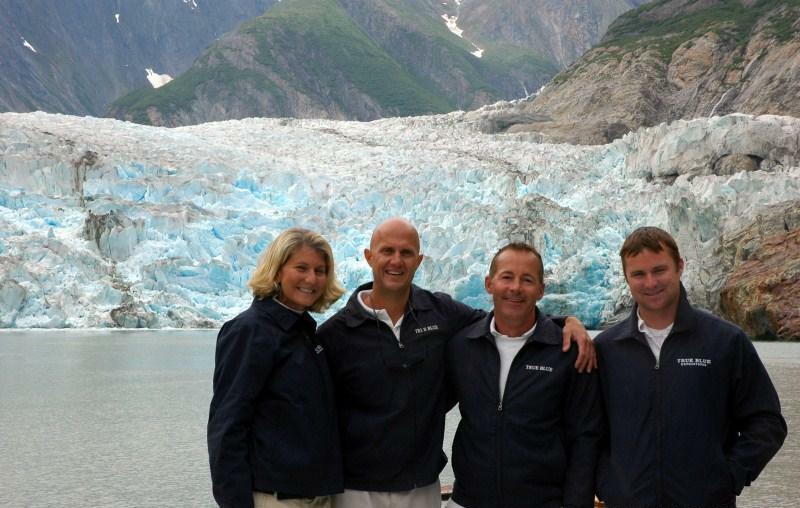 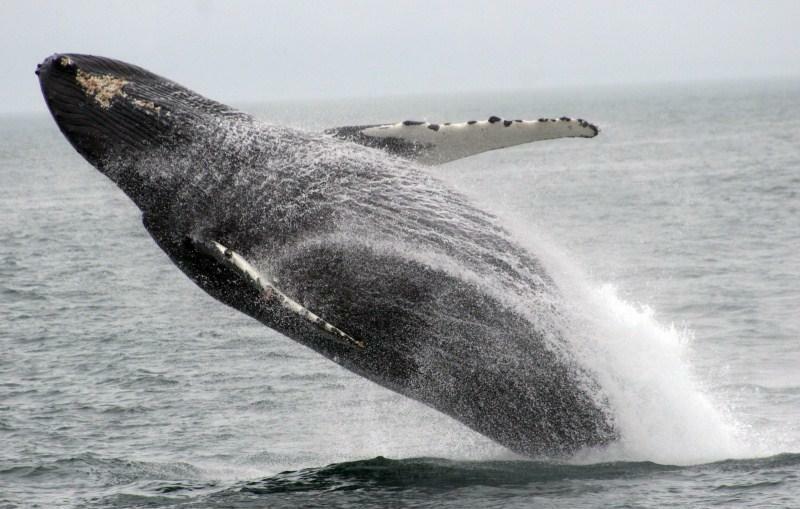 The yacht is available for up to 6 charter guests in 3 cabins to cruise the spectacular Alaskan waters. 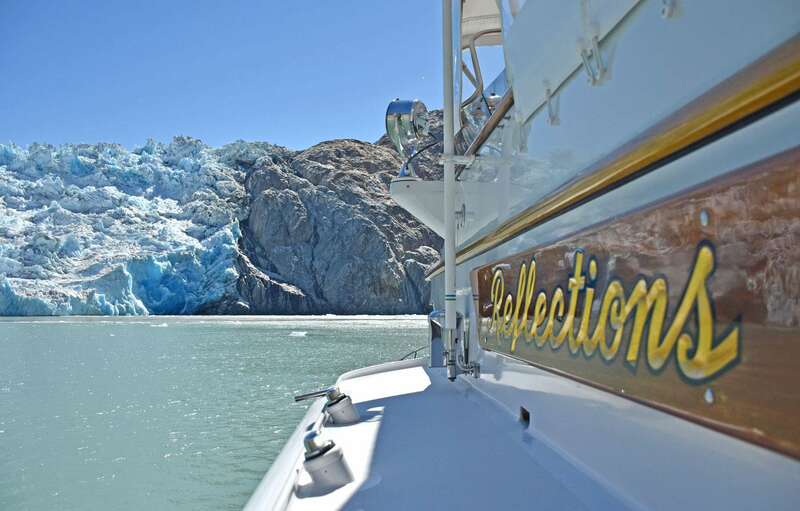 M/Y REFLECTIONS is the ideal yacht for families and friends, who want an exciting and unique look into a world of breathtaking nature at its best. 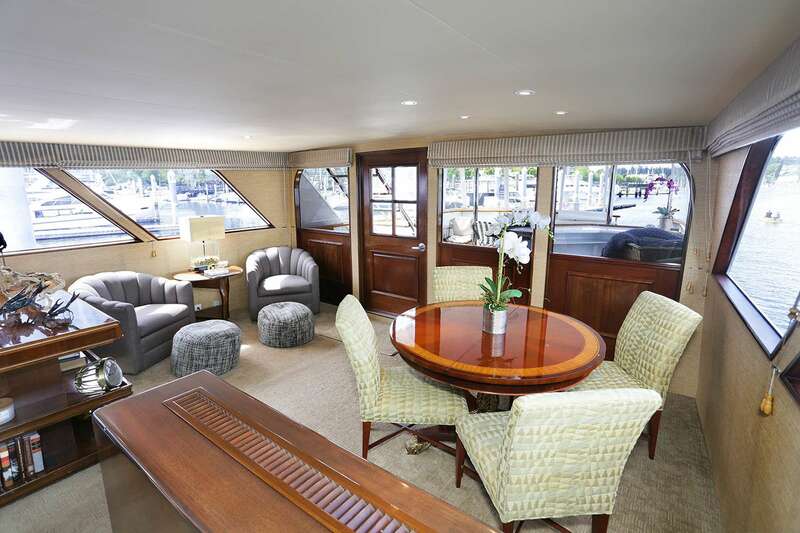 Motor yacht REFLECTIONS offers guests a refined yet casual interior atmosphere. 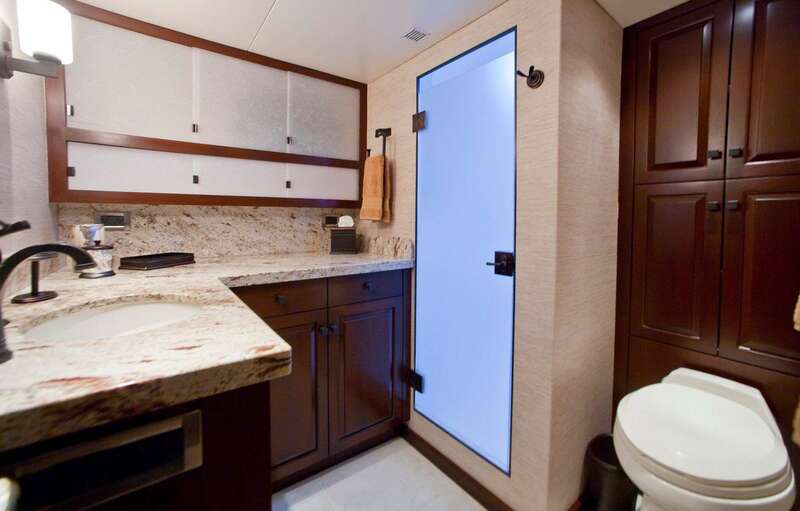 The salon features neutral earthy tones and plush lounging areas. 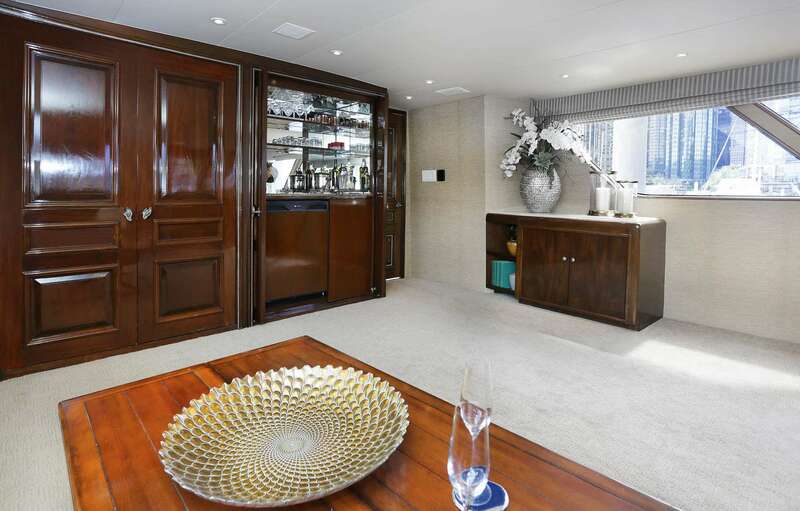 A games table is ideal for game, or as a cocktail table. 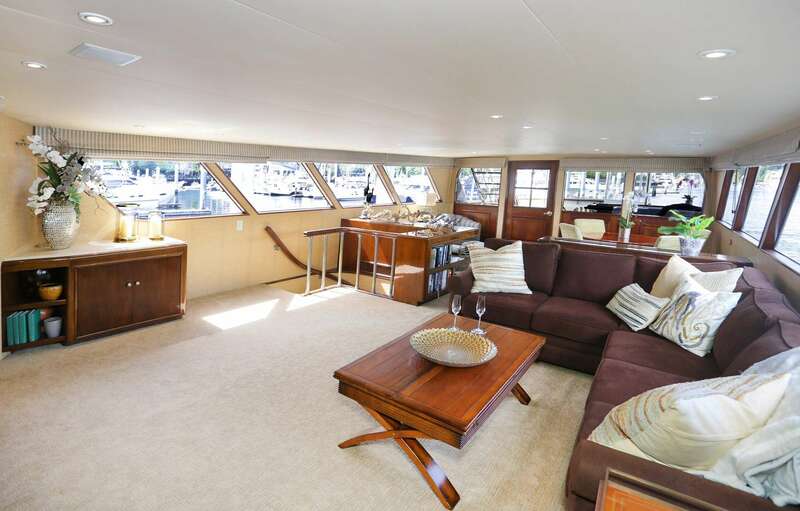 Forward of the lounge is the full entertainment area with SAT TV, blue ray DVD and wet bar nook. 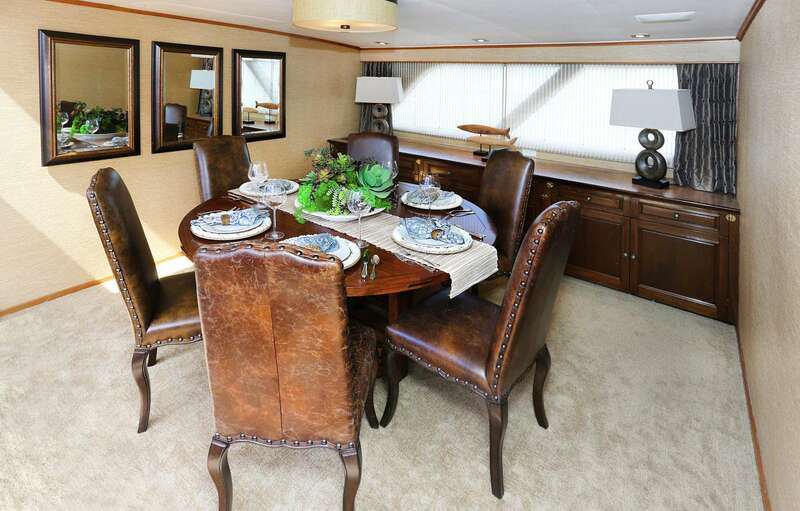 Formal dining aboard the REFLECTIONS is separate and forward of the salon in an elegant setting. 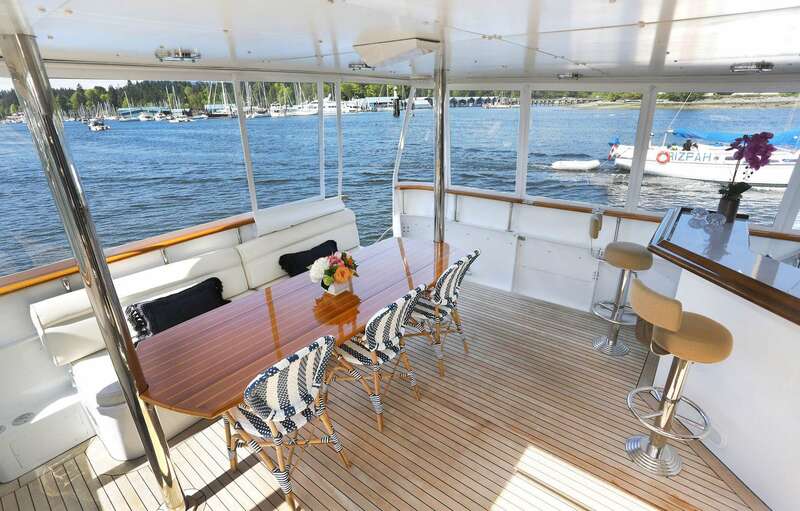 M/Y REFLECTIONS offers a large enclosed aft deck with optimum views, where guests may enjoy an alfresco dining experience, or simply relax at the full wet bar with an evening aperitif. 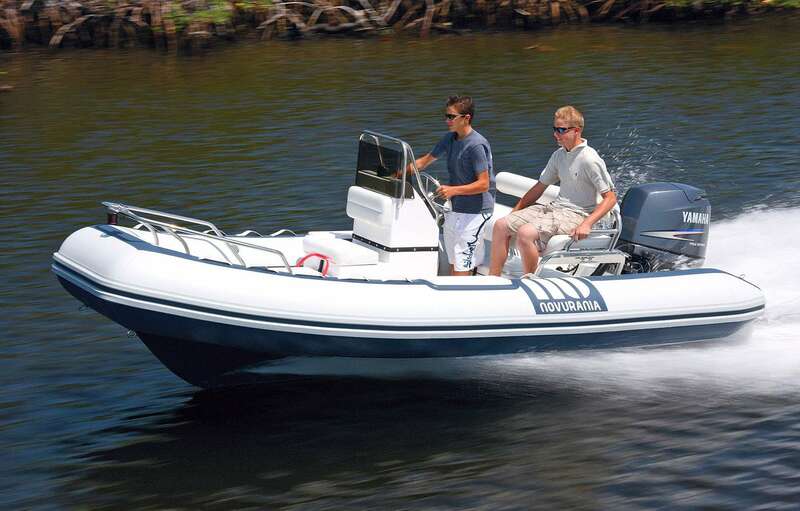 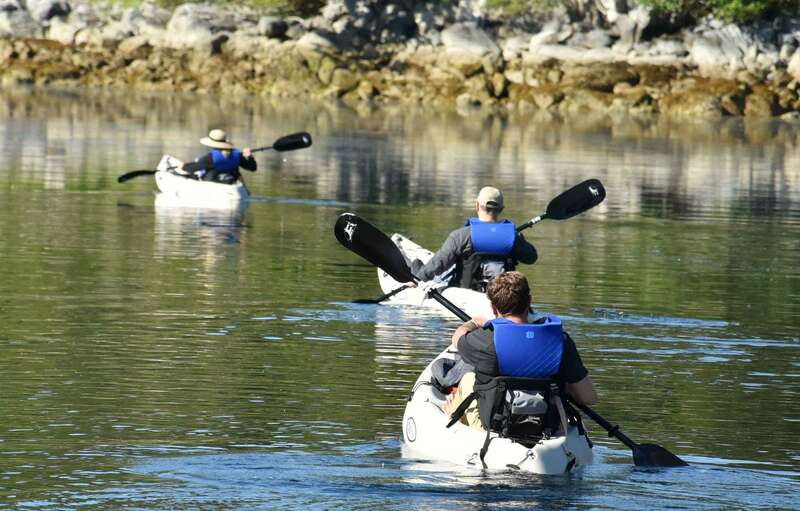 An extended swim platform makes access to the tenders and kayaks effortless. 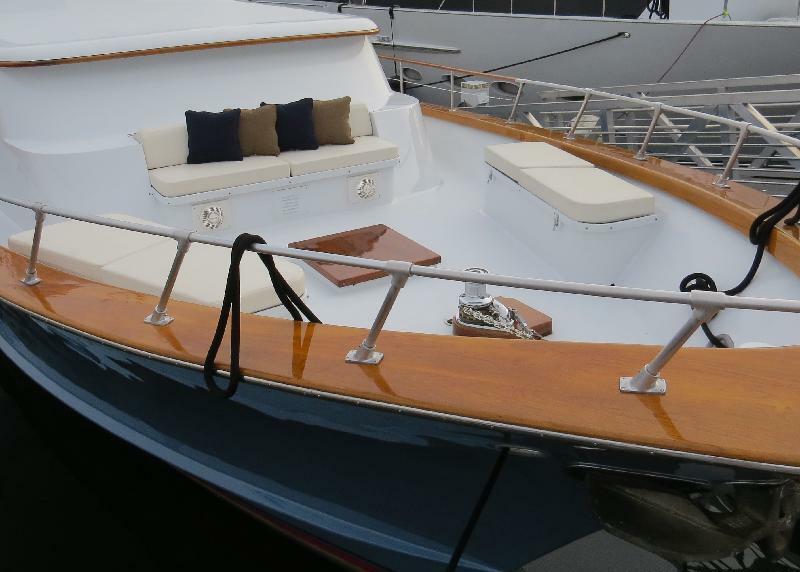 Charter yacht REFLECTIONS has additional seating on the open air foredeck. 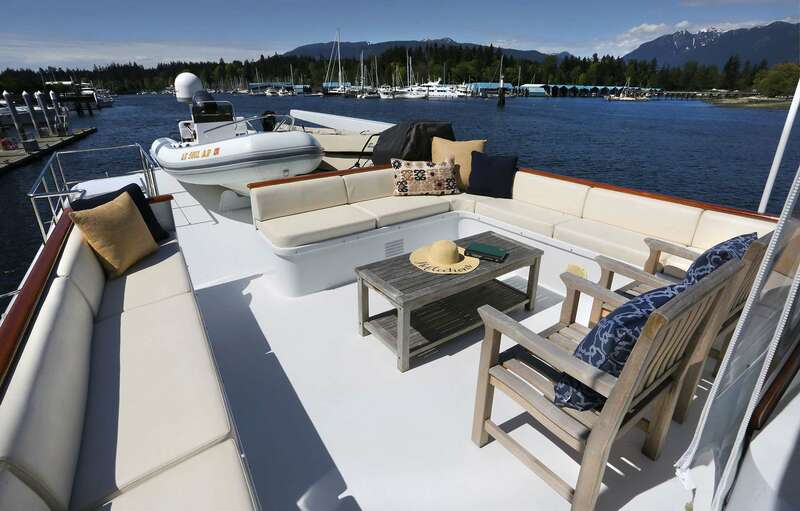 Above the main deck, luxury yacht REFLECTIONS has an enclosed pilothouse with seating, followed by an open aft deck with further seating and a coffee table, ideal for wildlife spotting. 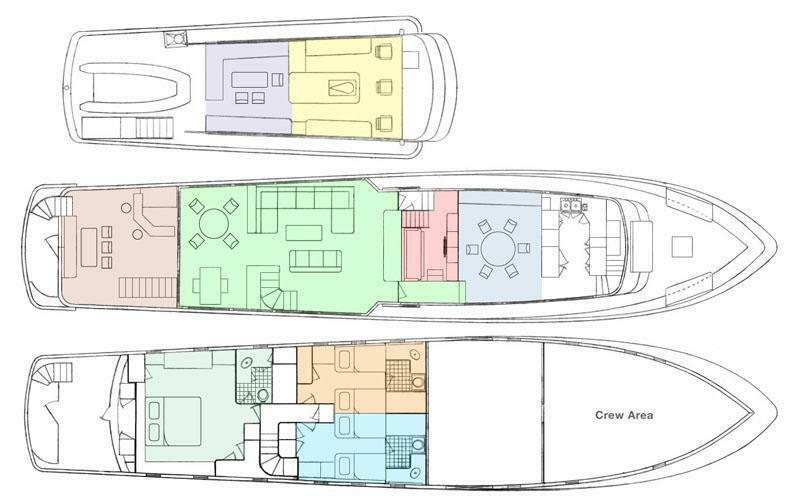 Charter yacht REFLECTIONS has a beam of 6.1m (20ft) and a draft of 1.8m (6ft), she is powered by 2 750hp engines and can cruise comfortably at 12 knots. 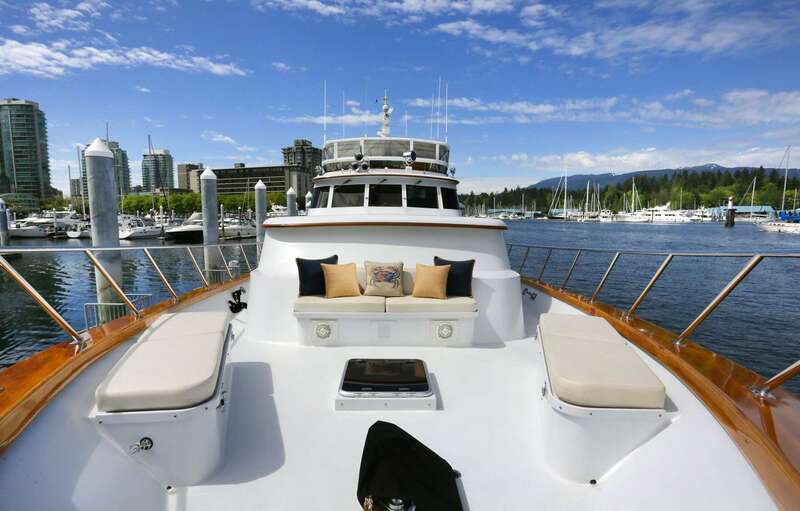 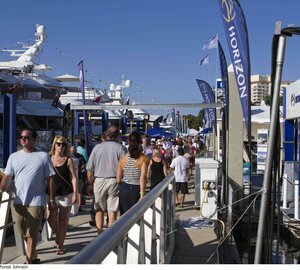 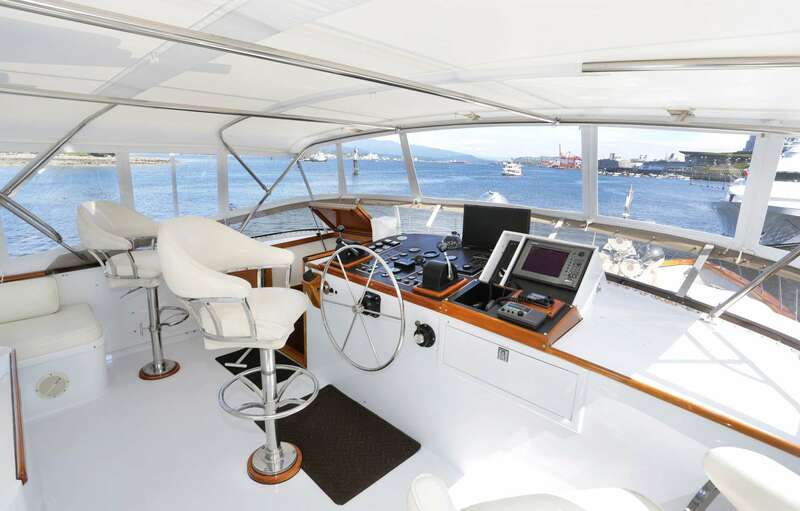 The yacht features stabilizers for added overnight comfort. 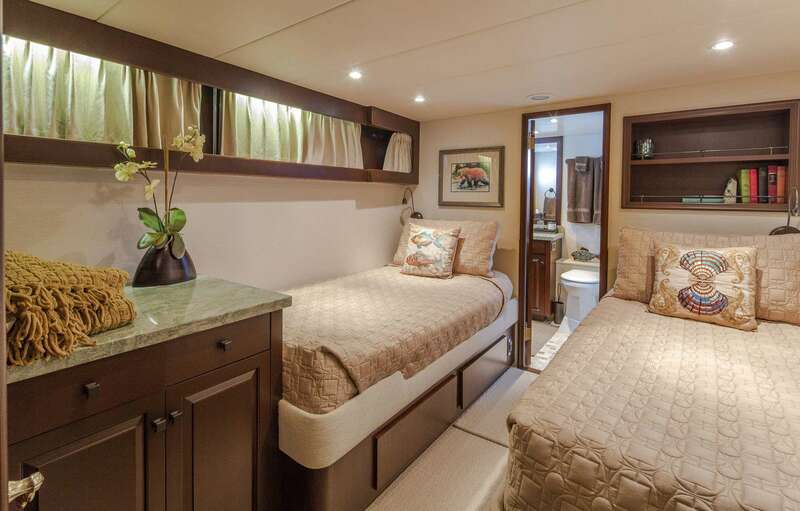 REFLECTIONS offers generous accommodation for up to 6 guests in 3 en-suite cabins, all with an organic and serene ambience. 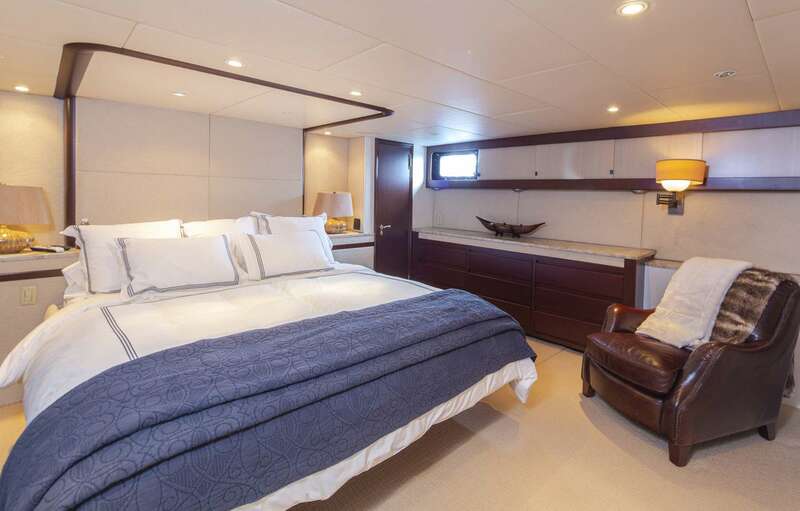 The master suite is amidships and full beam of the yacht with a centre lined king size bed, 2 guest cabins offer single side by side beds. 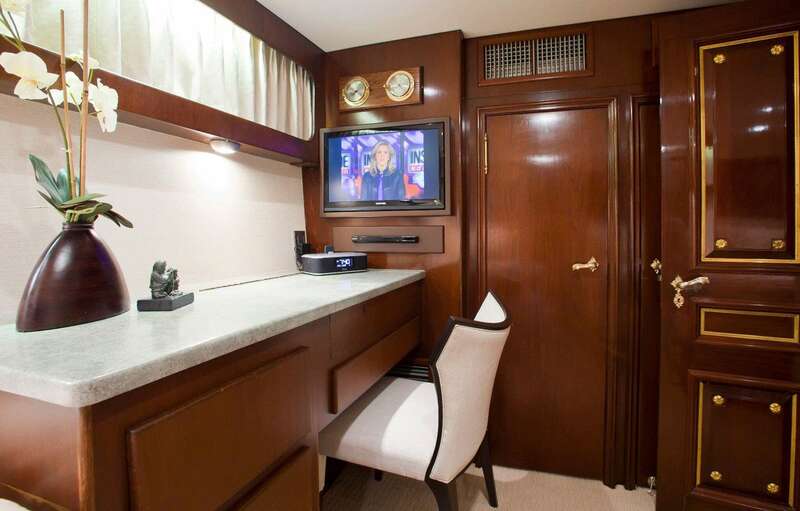 The master suite boasts TV entertainment with SAT TV and DVD, the 2 twin cabins have TV entertainment with DVD or can link into the salon’s SAT TV viewing. 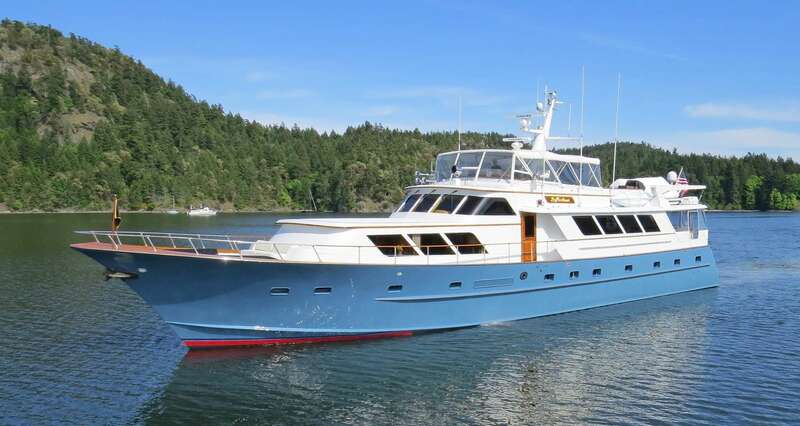 Tenders & Toys: ~ 3 x Malibu “Pro 2 Tandem” 2-person sit on top kayaks ~ 2 Stand Up Paddleboards ~ Binoculars ~ Book Library ~ Games ~ CD & DVD Library ~ Ipad / iPod Docking Stations Communications: ~ Satellite phone, Cell phone, VHF radio.